In early 2016, I got a message from Dave Jenkins thanking me for my work documenting Georgia: Your Vanishing Georgia sites are rich sources of information, and I am very grateful to have discovered them. He noted that he was working on a similar project and that it seemed our paths had often crisscrossed. Since you have diligently assembled so much valuable information and made it public, I would like to make use of it where appropriate. It was a real honor, considering Dave Jenkins was the photographer who documented some of the most beloved Southern icons of our time in his bestselling Rock City Barns: A Passing Era. While this generation may know the barns as birdhouses from the gift shop at Cracker Barrel restaurants, they represent a lost era to many of us and the book has become a testament to their cultural significance. To think that he was drawing any inspiration from my work and was reaching out was quite humbling. This May, I received a copy of Backroads & Byways of Georgia from Dave’s Chickamauga studio with the inscription: To Brian Brown, the Ubiquitous Man, without whose help I would not have found many of the sites in this book! As I leafed through the book, I was amazed at just how much of the same ground we had covered. As big as Georgia is, it’s full of wonderful small communities that have a way of attracting photographers like Dave Jenkins. And Dave has set the book up in such a way that the traveler or photographer can pick an area, set aside two or three days and see about everything worth seeing in that area. As an advocate of backroads travel, I highly recommend keeping a copy in your vehicle, much as you would a field guide to birds or wildflowers. Not only are the kinds of trips Dave outlines great for learning the history and seeing the natural wonders, they’re vital to the struggling economies of small towns. As a fellow traveler, I’m awed by the fact that Dave covered over 10,000 miles in a year and had the time to put such a wonderful book together. I’m in my late 40s and Dave his late 70s! I’ve been doing this for over ten years and am just now forcing myself to do my first book that isn’t self-published. Dedication and a respect for your subject are what drive a good book and I heartily endorse the results of Dave’s work. 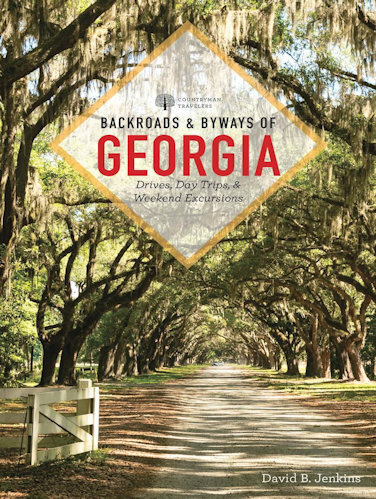 Travel books are a dime a dozen, but not so Backroads & Byways of Georgia. It reminds me of Georgia: A Guide to It’s Towns and Countryside, the WPA classic published by the University of Georgia Press in 1940. Like any such book, it can’t cover every single place its creator would like to, but in seeking out so many places, it provides as good a road map as you can hope for. Georgia is full of hidden treasures and Dave Jenkins has provided the most compelling case I’ve seen in a long time for hitting the road and finding some of them. You can find the book at Amazon and numerous other places, but if you’d like to order a signed copy, directly from Dave, you can email him at djphoto@vol.com. Paul Kwilecki is likely the best Georgia photographer you’ve never heard of. He’s a personal favorite of mine. After selling his family’s hardware business in Bainbridge he took up photography full-time, but as a self-taught photographer he was often isolated from the larger art world. 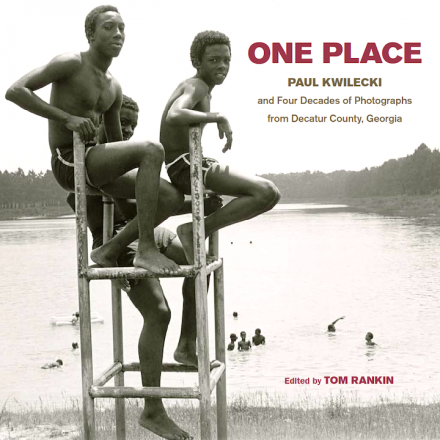 That proved to be a good thing, as this beautiful new book, One Place: Paul Kwilecki and Four Decades of Photographs from Decatur County, Georgia will attest. For nearly forty years he photographed the people and places of Decatur County and did so with an eye not turned on Georgia in such a way since the FSA photographers of the Great Depression visited the state. Though he published one book in his lifetime (Understandings: Photographs of Decatur County, Georgia; UNC Press, Chapel Hill, 1981) and had hoped to see this one to print before his death, One Place will go far in establishing his place in the larger canon of American documentary work. I’m lucky to have briefly corresponded with Mr. Kwilecki before his death and he was a real gentleman, encouraging me to pursue my own passion for photography. If you’re a fan of photography, you will want to purchase this book, or request it at your local library. Tom Rankin, who directs Duke University’s wonderful Center for Documentary Studies, edited the work and draws from his association with the photographer, as well as Kwilecki’s own descriptions of his work.